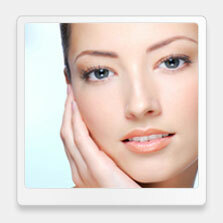 The teeth whitening industry has become a huge business in recent years. Almost all oral health companies claim that their at-home products or services are the key to a smile that will brighten up a room. Unfortunately, many of these products are not only ineffective, they can be extremely uncomfortable and have the potential to permanently damage one’s enamel or gums. This is why our West Hollywood teeth whitening expert, Dr. Ghasri, is now offering the most advanced chairside whitening system that is safe, affordable, and highly effective. 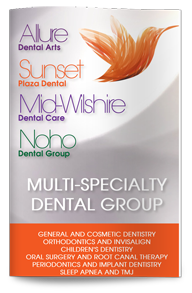 Many of the most common teeth whitening treatments, including those offered by our specialist for teeth whitening in West Hollywood, are centered on a peroxide-based gel. This type of compound is used to lift stains that are on the surface of the teeth. It is important for patients to understand the differences between these types of stains and intrinsic stains which are below the enamel of the teeth and cannot be brought out with whitening compounds. Most patients with extrinsic stains will make good candidates for the services of our West Hollywood teeth whitening specialist. This process begins by applying the peroxide-based gel to one’s teeth and then activating it with a specialty lamp. This releases the oxygen molecules and allows for the treatment to be carried out in just three applications taking 15 minutes each. What allows our expert on teeth whitening in West Hollywood to stand out is this advanced Zoom whitening process that requires very little time compared to other systems. Due to these specialty lamps, the whitening happens at a much quicker speed, decreasing the chances of discomfort while not diminishing any of the effectiveness of this treatment. If you would like a smile that is as much as 8 shades brighter, give our cosmetic dentist in West Hollywood a call immediately. Dr. Ghasri and the rest of our staff are devoted to every single patient that walks in our doors. We offer a full line of cosmetic and general dentistry services and have created a warm and comfortable atmosphere that puts our patients at ease and keeps them coming back regularly.